Getting to play around with these handmade items from AredhelCrafts was a blast! My friend Lana is incredibly creative, and sells some really fun items over on her Etsy store. Here are a couple of the creative things she offers. Story Stones - These stones are a great way to encourage children to be creative and practice putting a story together! 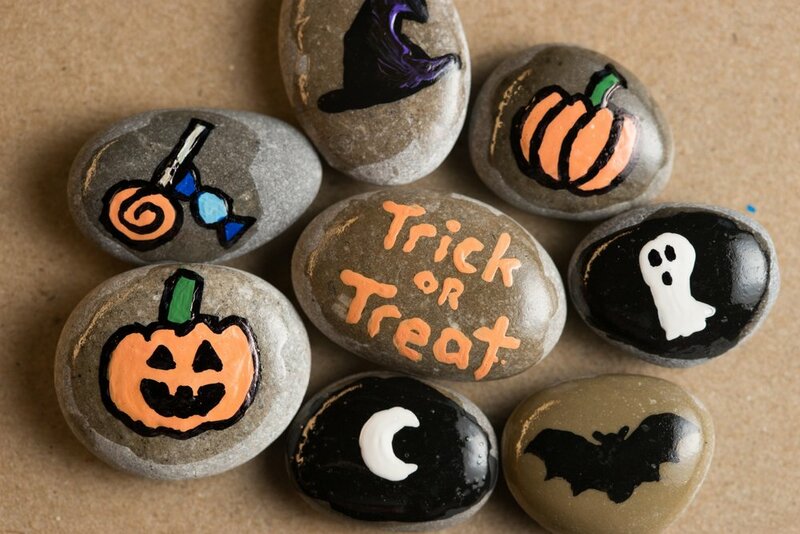 These stones are hand-painted, and there are several different themed packs available. You can even mix and match multiple packs together to tell unique stories! Paper Cranes - Lana folds cranes like a machine. Want some decorative Origami cranes for a wedding, birthday party, or other special event? Save your fingers the trouble, and let Lana fold them for you! Available in pretty much any color paper you want, in multiple sizes. Make sure you check out AredhelCrafts on Etsy by clicking here! Need professional photos of your Etsy items?